The above screen capture is from a 1980 Australian TV broadcast featuring Boys Next Door at Crystal Ballroom. Here is a tiny snip of Nick and audience members (sound muted). Source. 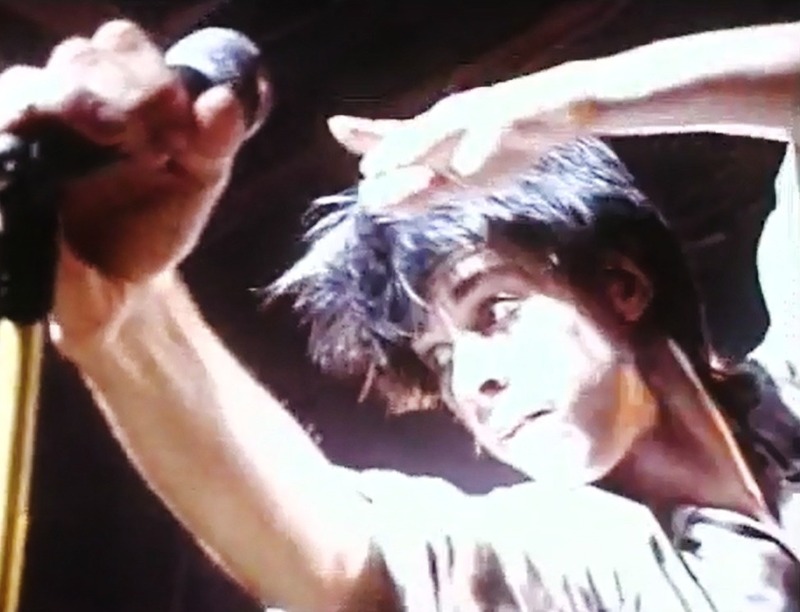 Today’s really big fix: Boys Next Door vids, plus images from a 1980 gig at the Crystal Ballroom, followed by writings on the Melbourne punk scene that Deb sent me a few weeks back. (Rowland S. Howard and Evan English extracts included here). Lots of interesting tidbits in the text parts, notably the role of Jenny Watson, Nick’s art school teacher. Is she the one who failed him? Then, a surprise photo at the end. Let’s begin with two vintage Boys Next Door clips, uploaded by Prick Mayall. The rest is under the page cut.